Home » Uncategorized » Want to promote yourself on the Pure Michigan website? Want to promote yourself on the Pure Michigan website? If you’d like to promote your business on the most-visited travel/tourism website in the nation, you’ll want to attend “Promoting Your Business on the Pure Michigan Website,” set for 8:30-10:30 a.m. Wednesday, May 6, at the Lansing Community College Howell Campus at Parker Middle School, 400 Wright Road off D-19. This free educational opportunity is geared toward those in the travel industry – such as lodging facilities, attractions, museums, festivals, events, golfing, dining, shopping, farmers markets, etc. There are only 24 spots available for this training, in which Carol Royse from Travel Michigan will teach business owners and managers to create and update listings — including photos, events, and much more –on the Pure Michigan website. Sponsored by the Michigan Economic Development Corporation (MEDC), the Pure Michigan website is the official Michigan travel website. 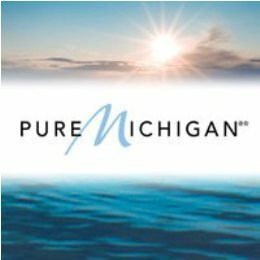 Tourism industry members fitting the Pure Michigan criteria are eligible for free promotional opportunities on the Pure Michigan website. For information on qualifying criteria, contact Barb Barden at the Livingston County Convention and Visitors Bureau, 517.548.1795. This workshop will teach the mechanics of how to update or add listings on the Pure Michigan website, too. The MEDC gathers data to report online activity to listed businesses quarterly. This event will take place in the LCC computer lab, where computers will be available for use. 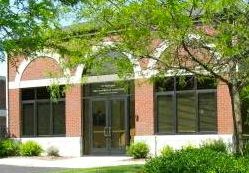 There is no charge for the workshop – which is sponsored by the Livingston County Convention and Visitors Bureau, Howell Area Chamber of Commerce, Howell MainStreet and the Howell Carnegie District Library — but you must register by calling the Howell Area Chamber of Commerce at 517.546.3920 or clicking here.